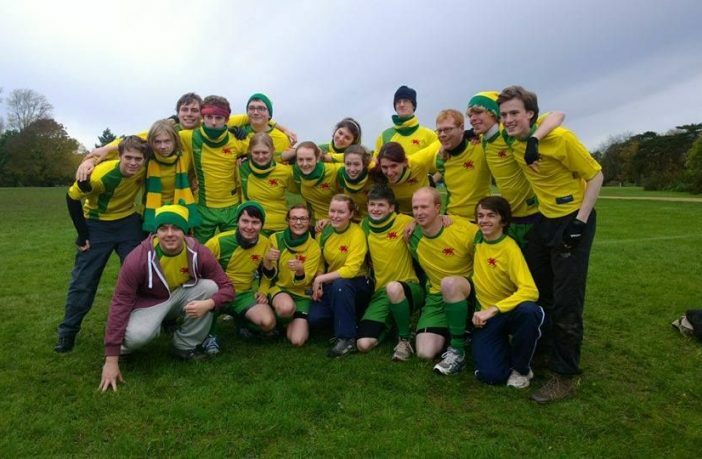 On the 9th and 10th of November, the newly founded Bangor University Quidditch team were involved in a two-day tournament which was hosted by the prestigious Oxford University. There was a great collection of diverse teams involved in the tournament, with 16 teams from around both the UK and Ireland making the trip to Oxford for this event. Quidditch UK, the UK’s governing body for quidditch teams, were the ones responsible for organising this event. There were three main teams involved who have a good reputation in the sport for playing well. There were The Oxford Chimeras, Avarda Keeldava and none other than Bangor Broken Brooms. All three teams have good form in the physical sport, where you have to run around with a broom in between your legs. Bangor Broken Brooms went into the tournament as everyone’s third favourite to win and claim the tournament for us. 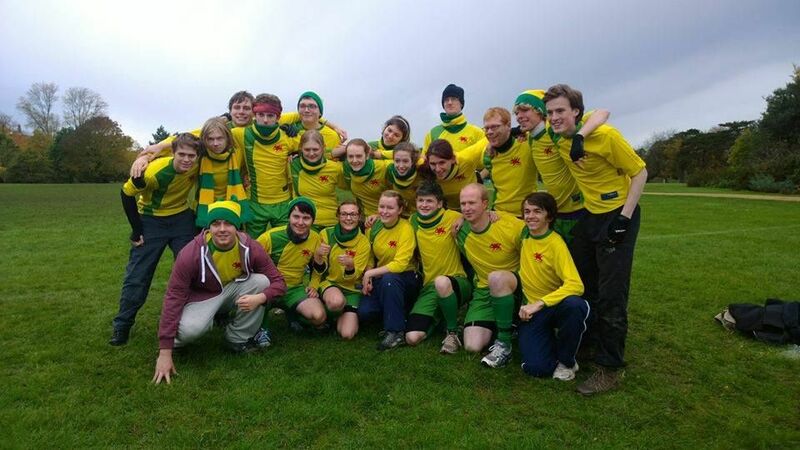 Our Student Union president, Antony Butcher, also accompanied the Quidditch team and competed in all the games that Bangor played. He took the position of beater and gave a good showing for the Student’s Union. The tournament started for Bangor and they played gloriously. Overall, Bangor Broken Brooms won five of their six matches in the tournament. As predicted, they made it very far in the tournament, only losing to Keele University, or Avarda Keeldava, in the semi-finals. Despite already having beaten Keele University in the pool stages of the competition, Bangor were finally undone in the semi finals when they faced them again. During the pool game with Keele, it was quickly discovered how hard hitting their team were. The violent way they played ensured some of our players were left injured for the rest of the tournament. This game appeared to be one of the more interesting ones to watch, due to the events that took place. 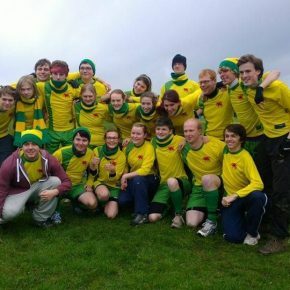 During the course of the game, Keele claimed the title as the first University quidditch team to get a red card in the sport. They played in an unsportsmanlike manner and proved this by attempting to headbutt one of our players, Owen Lynch, who is a chaser. Coming unscathed from the incident, Owen quickly shook it off and showed how sportsmanship should be done, doing Bangor proud by not reacting badly to the situation. A special mention goes out to Tom Heynes who caught the snitch against Keele University despite having a suspected dislocated shoulder. In the process of catching the snitch, he had to fight off the opposing seeker and wrestle him for the snitch with the dislocated shoulder, earning Bangor Broken Brooms an impressive victory in the pool stages of the competition.